A good friend of HHR's asked us to share this. We ask you to do what you can to help out. Getting up well before dawn and driving to a pool in the middle of winter just to get an extra practice in may not seem like a lot of fun to most. But to a choice few, it was our ticket to college. I was a late bloomer in the swimming world; I did not get enchanted by long hours of chasing the black line down the middle of the pool until my junior year of high school. I was lucky enough to be surrounded by great swimmers and coaches that saw a glimmer of talent and pushed me in the right direction. I had finally found my calling in the pool. After two years of toiling away and getting progressively faster it was time to start calling colleges and trying to find out if I was fast enough to join them. I had a few great offers to local schools but really wanted to spread my wings. 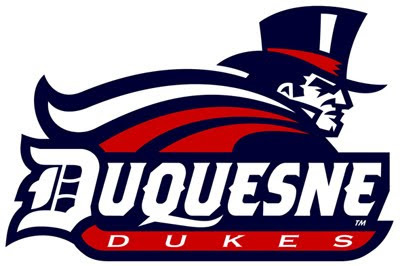 I was fortunate enough to find Duquesne University in Pittsburgh, PA. It was about as far from Seattle as I could get and I was ecstatic to have found a home, both to study and to swim. It has been over a decade since I graduated and I have jumped back in from time to time, but nothing ever feels as good as it did swimming at that school. Yeah, we had a small pool; yeah we were not the best team in the country. But we were proud to wear the Red and Blue and train our asses off for our school and for each other. Those were some of the best times of my life. I still talk to the guys (and ladies) that I swam with. For four short years they were my family, and many still are today. On January 25th of this year a team meeting was called and the Men’s program was informed that this would be their last season. To say these guys were shocked is an understatement. They had two duel meets left and their conference championships are quickly approaching. Duquesne unceremoniously decided to drop the Men’s Swimming, Golf, Wrestling and Baseball programs on that day. The Athletic Department has stated that he decision was a “financial” one and that this will help them better allocate funds that will make the other programs “more competitive.” Strange, since last year the Men’s Swimming program placed 3rd in the Atlantic Ten conference. This must have something to do with the stellar basketball and football programs needing more money. I am not one to bag on another program (but you can look at their seasons and decide for yourself). I am not even upset that the school has to make cuts – but come on – give these kids a little dignity and at least a chance to do something about it. They were not warned at the beginning of the season, or the end of last season that this may be happening. This is just another example of an Athletic Department and the school in general not handling its money very well – and now a program that has turned the tide to become successful is being hurt. Well a few of them are not taking it laying down, and as an alumni neither am I, there has already been a fierce letter writing and calling program asking for definitive reasoning why the program is being dropped (note: the Women’s program is safe, for now, and they use all of the same equipment and coaching staff, as well as travel with the Men’s program for the majority of meets). The calls seem to have fallen on deaf ears and the University is really not responding to the now constant taunting in the press and on blogs. Feel free to join in on that fracas, since the University’s spokesman are hiding and not coming out to the press, save for the nice little press release that came out the same day that the cuts were announced to the team. Here is a link to the original Q&A that let everyone know the teams were being dropped. If you would like to contact the AD, his name is Greg Amodio, amodiog@duq.edu, and I am sure he would love to hear from those out there that hate to see “non-revenue” generating sports get cut at Division I Schools. If you do decide to write, please be positive – the guys on the team have gone out of their way to make sure that they are showcasing the positive aspects of the team to the press. It seems that they are getting a lot of attention in the Pittsburgh press about it as well. The real rub is that the team has been notified that in order to save the program we will need to have a $4 million endowment to keep it going. Odd since the pool is already built, the Women’s team is not going anywhere and they do not travel to Japan on a weekly basis for practice and meets, but ok. You want $4 million to keep the program running; we are going to raise it. Save this program so they don’t disappear like University of Washington, UCLA, Kutztown University, University of New Hampshire and countless other teams in a multitude of other sports. Go to http://saveduquesneswimming.bbnow.org/donate.ph and make any size donation you can. Don’t do it for me, do if for the Duquesne Dancing Bear, the Mighty Duke, any swimmer you have ever met, your friend who lost their keys down the drain at the King County Aquatics Center, the kids who dive into the fountains on academic walk and take your quarters so they can do laundry. Give as much as you can. Be the difference, keep this program alive!